Old Ingraham Highway | Florida Hikes! Opened in 1922 as the first motorway to Flamingo, the Old Ingraham Highway saw its share of Model Ts and other roadsters as intrepid motorists made their way down to the small fishing village on the edge of Florida Bay. 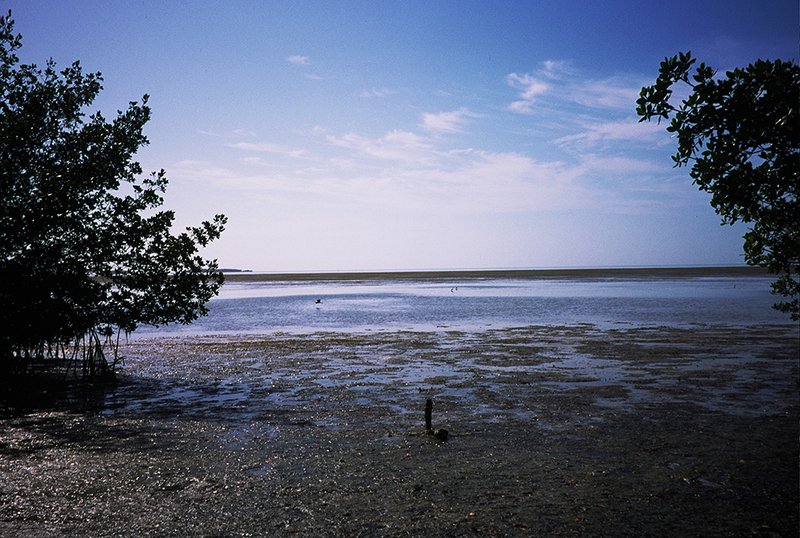 After Everglades National Park was dedicated in 1947, the road continued to provide the park’s visitors with access to Flamingo until a new highway opened in the 1960s. Created by a dredge floating on barges, much like the method used to push the Tamiami Trail across the Everglades, the Old Ingraham Highway was built on a pile of limestone dredged up out of the sawgrass prairie, which created the paralleling Homestead Canal. Parts of the old highway and the canal still stretch through the park, from a segment of the Anhinga Trail at Royal Palm Hammock to the edge of Snake Bight. 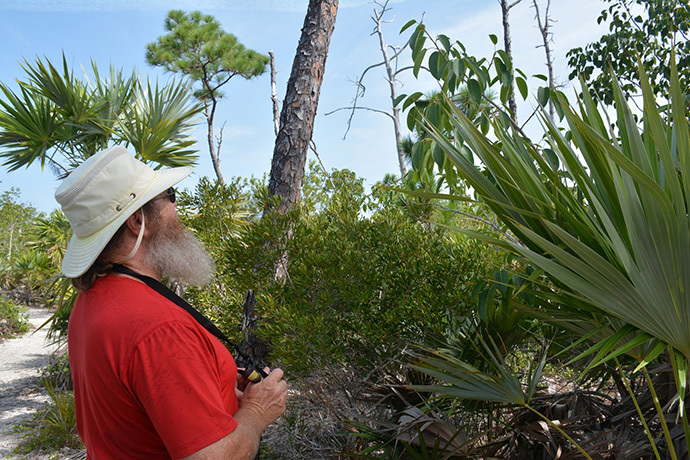 Well off the beaten path, starting at Big Pine Key, you can walk the now-eroding highway, one of the few long trails in Everglades National Park to expose you to broad vistas of the sawgrass prairies. It’s also one of only two trails in the park with designated backcountry campsites. If you plan to backpack and set up camp, be sure to stop at any of the ranger stations beforehand for a backcountry permit. The Old Ingraham Highway has two designated campsite areas, the Ernest Coe campsite (at 3.5 miles) at the Old Ingraham campsite (at 11 miles). The trail is shared with bicyclists, but is usually broad enough (and desolate enough) to avoid conflicts. Fees/Permits: Entrance fee of $25 vehicle, $20 motorcycle, $8 cyclist/pedestrian. Good for one week. Permit needed for backcountry camping. There is little shade along the trail, so plan an early start and bring plenty of liquids. No matter the time of year, this trail is typically high and dry. The trail is shared with bicyclists, but is usually broad enough (and desolate enough) to avoid conflicts. Our biggest worry here now since first hiking this trail in the 1990s would be encountering a Burmese python or anaconda in this desolate area. Be very alert. 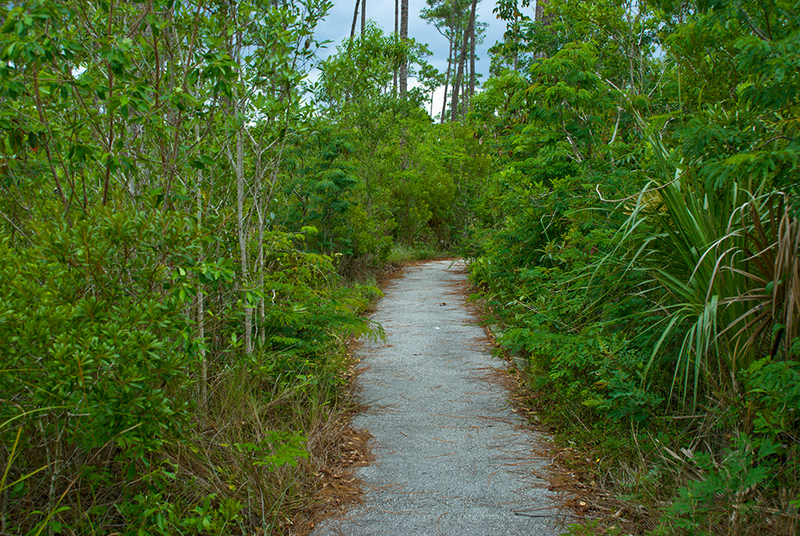 To find the unmarked start of this trail, near the north end of the park, take the Main Park Road to the turnoff for Royal Palm Hammock. After 0.8 mile, turn right at the “Daniel Beard Research Center” sign. Drive another 0.5 mile to the “Hidden Lake Environmental Education Center” sign, and continue straight. The road surface becomes rough and eroded. Continue 1.5 miles to the gate that crosses the road, Gate 15, and park alongside the road. Do not block either gate. Your hike starts just beyond Gate 15. Your hike starts just beyond Gate 15. There is little shade along the trail, so plan an early start and bring plenty of liquids. No matter the time of year, this trail is typically high and dry. Scrawny trees line both sides of the roadway, strays onto the disturbed land from tropical hardwood hammocks: a profusion of poisonwood, best identified by its droopy leaves and peeling black and orange bark; hog plum, with its distinctive oval leaves in both light and dark shades; and pigeon plum, with its spotted bark (easily mistaken for poisonwood) and dark fruits. 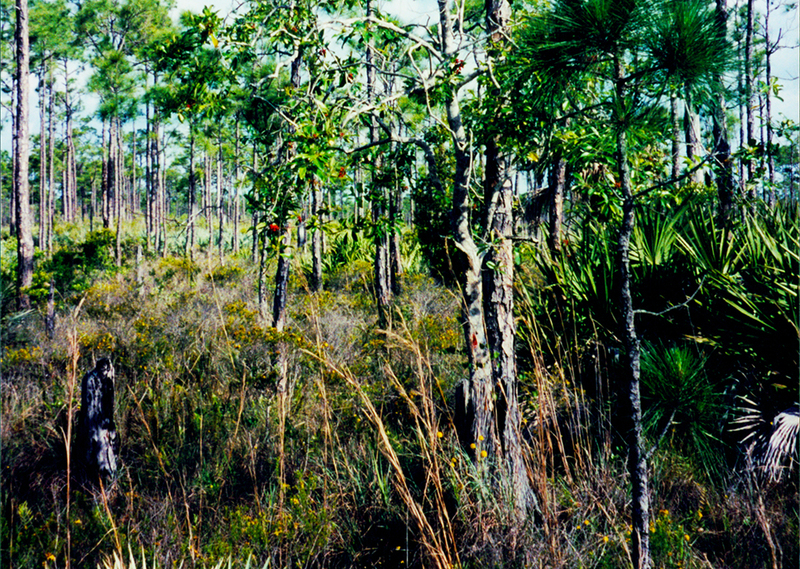 A coastal plain willow growing along the right edge of the trail indicates the dampness of the habitat as a segment of the old Homestead Canal begins to parallel the trail. As you approach a trail junction at 0.6 miles, you catch your first glimpse of the sawgrass prairies off to the left, punctuated by dwarf cypress. Pale meadow beauty and yellow-tops show off their blooms along the edge of the trail. 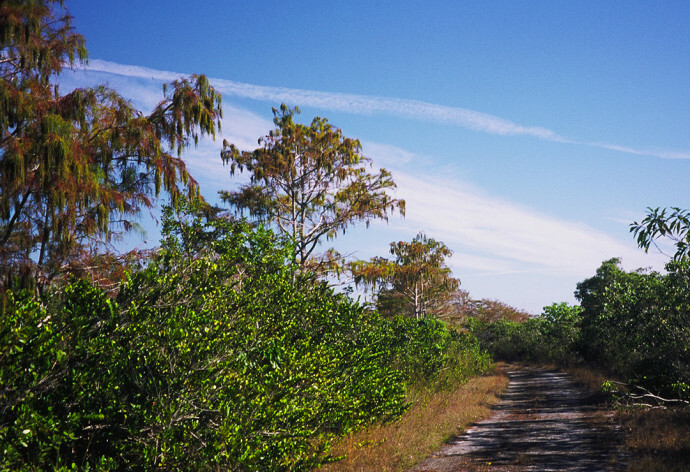 A grassy jeep track takes off to the right, pointed towards a now-defunct missile base on Big Pine Key, manned during the Cuban missile crisis of 1962. Continue straight to stay on the trail. Hemmed in tightly by the thin strand of tropical hammock, the broad canal on the right serves as a water hole for alligators; watch for them sunning along its banks. Be mindful of the alligator crossings on the trail—places where the grass has been beaten down between the canal and the sawgrass prairie. Hog plum and poisonwood crowd out the views until you emerge out to the edge of the vast river of grass at 1 mile. Sawgrass recedes off to the horizon, unbroken except for tree islands. These scattered tropical hammocks, the only dry ground in the river of grass, provide refuges for wildlife. At 1.7 miles, you pass a telemetry station. Look to the right, and you’ll notice broad views of the sawgrass prairie opening up into the distance beyond the canal, where pond cypresses cluster along the water’s edge. As you walk along, you enjoy an increasing number of scenic vistas of the sawgrass prairies between the screens of tropical trees. At 2.4 miles, the trail passes through a cypress dome. The tropical hammock crowds in closely thereafter, providing your first real stretch of shade along the hike. You emerge to walk along the river of grass. Decked out in bright red berries, a dahoon holly provides a stark counterpoint to the clusters of buttonwoods that begin to appear as the salinity of the Homestead Canal increases. After 3 miles, the forest closes in again, providing a shady corridor. Like a discarded necklace, the desiccated skeleton of a snake lies across the crumbling pavement, perhaps discarded by a bald eagle. The vegetation becomes denser on both sides, creating a shady spot at 3.2 miles. 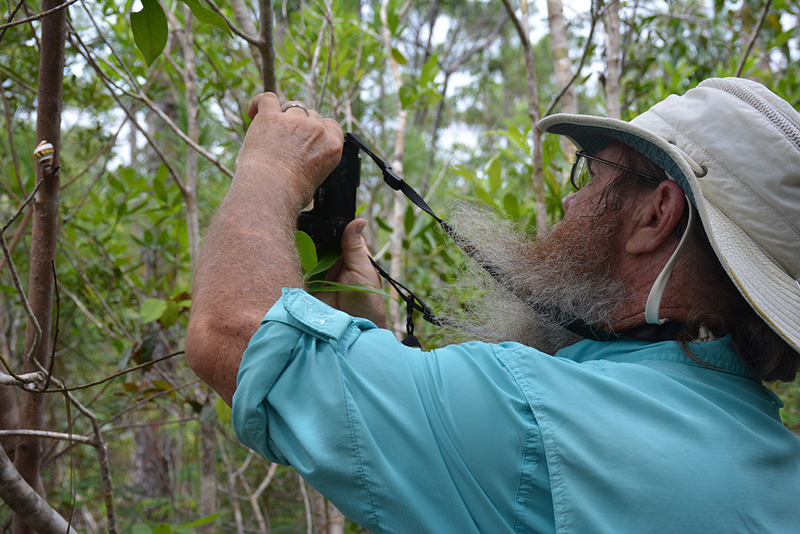 Beware of brushing against the poisonwoods and sharp sawgrass blades. Where marl washes across the trail, it turns gray when wet, creating a surface as slippery as an ice rink. Watch out for black slippery spots on the pavement, too, where periphyton attempts to retake the high ground. After you pass a U.S. Geological Survey marker at 3.4 miles, the road starts curving to right, and the shoulder broadens. Pond cypresses reflect in the dark water of the canal. Look carefully at their bases, and you might see an alligator nestled in among the roots. You pass small data collecting station on the left as trail curves farther to the right, continuing in the shade past an alligator crossing under a pond apple. When you emerge back into the sun, you can see the sawgrass prairie beyond the trees on your left. At 3.7 miles, you discover a broad open grassy space on the right that makes up the truly primitive (no water, no fire ring, no benches) Ernest Coe campsite. Although the campsite isn’t much, it’s a welcome spread of soft grass on which to pitch a tent. You can end your hike here and turn around (which I did), or continue backpacking along the highway to where it ends at the Old Ingraham campsite, another 7 miles or so down the trail. 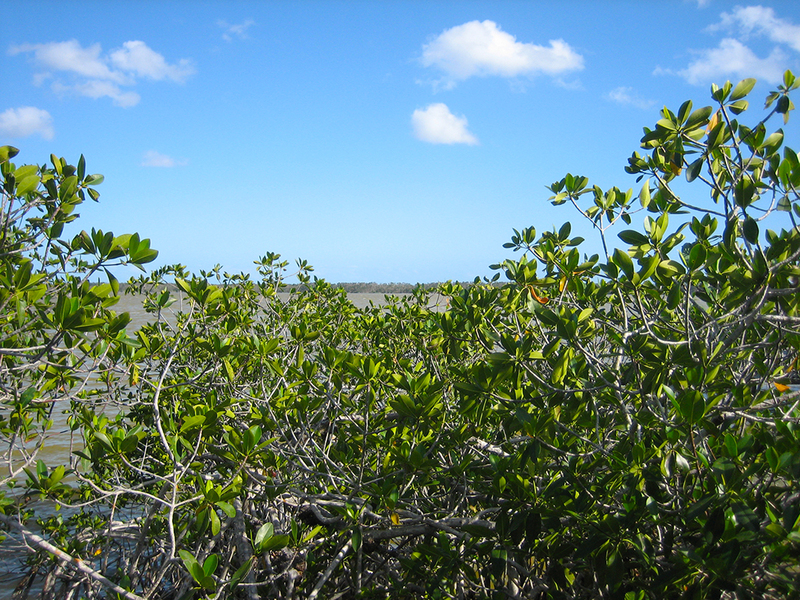 On your way back up the road, savor the excellent views of the vast sawgrass prairie that is the Everglades. 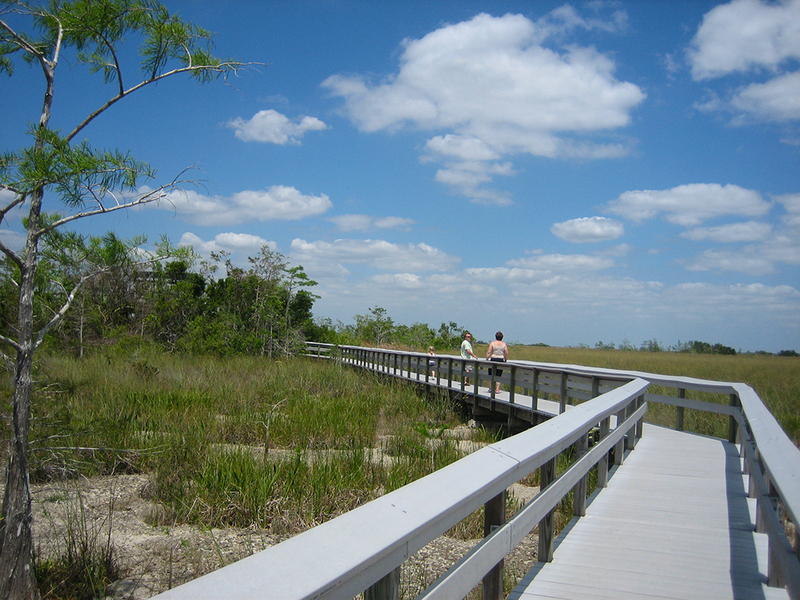 At 5.3 miles, a short boardwalk leads out into the sawgrass. It once ended at a data collecting station, but now provides a platform for you to look off at the expanse. Passing the grassy road to the left at 6.8 miles, you return to Gate 15 after 7.3 miles of immersion in the Everglades.